No showings Easter Sunday. 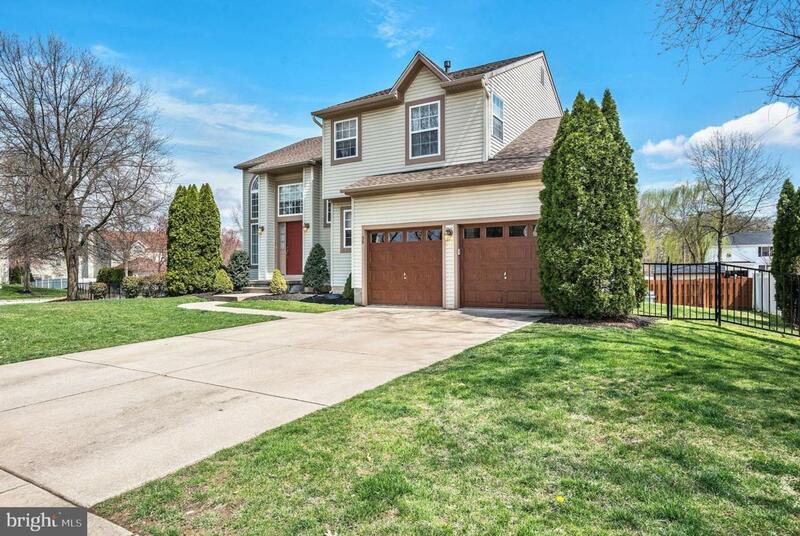 Welcome home to this lovely Paparone Built home in the desirable Forest Park Section of Burlington Twp! Oversized corner lot w/attractive rod iron fencing, neatly landscaped, new roof replaced in 2018, newer wood look garage doors, huge custom paver patio w/fire pit...great for entertaining! Spacious Concrete driveway can accommodate many cars! 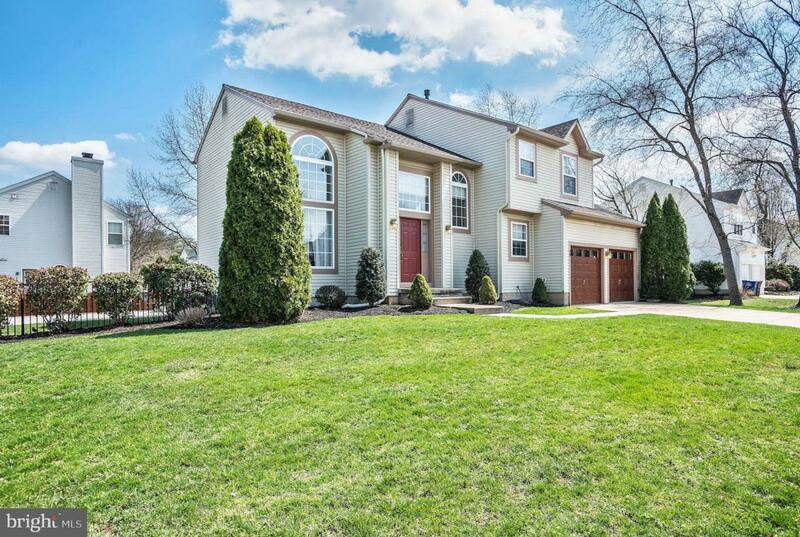 Entering the home you're welcomed by the bright and airy vaulted ceilings, Palladian windows in liv rm & din rm, gorgeous Brazilian Cherry Hardwood Flooring & turned stairwell w/palladian window at the landing. The kitchen is tastefully updated w/white cabinetry, granite countertops, stainless steel appliances, marble backsplash, porcelain tile flooring, pantry and cozy breakfast room. Step down family room is adjacent to the kitchen for entertaining your guests with a sliding glass door to the rear yard. Updated powder rm and convenient main floor laundry room. The Basement is nicely finished w/recessed lighting, porcelain tile flooring, chair rail w/two tone paint, storage rooms & bar area. Hot Water Heater is 2 years young. 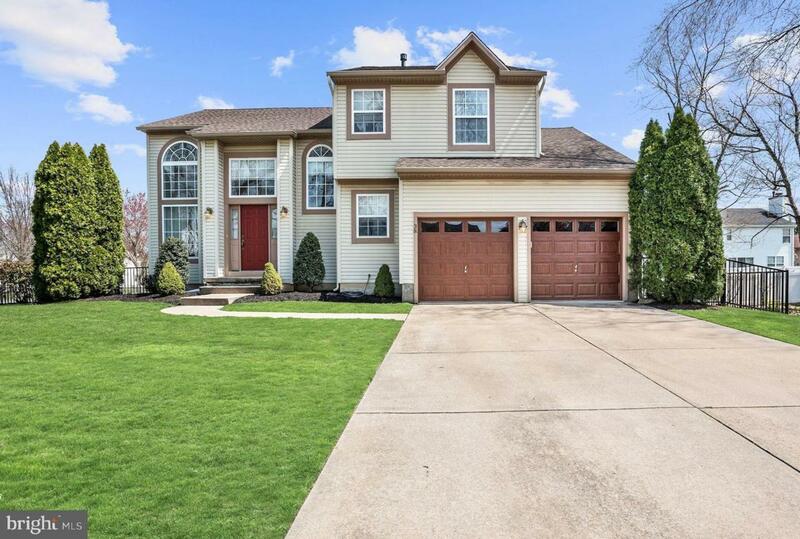 Plush new neutral carpeting in upper level leads you to 3 spacious bedrooms, guest full bathroom and master suite w/walk-in closet and private master bathroom. 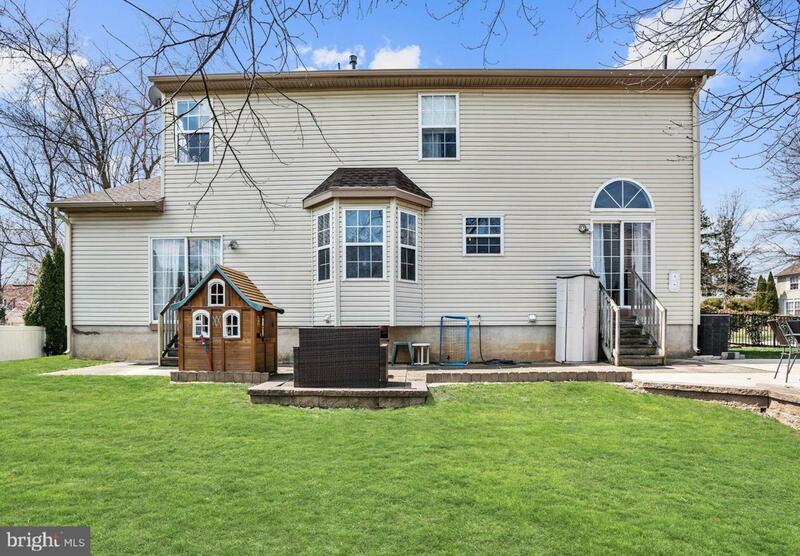 Desired location w/close proximity to I295, I95, NJ Turnpike Exit 6, Route 130 & Route 206, public transportation and Riverline access down the road. Central to Philadelphia, New York, Atlantic City and the Jersey shores. See the rest, then buy the best here! Please note: No showings after 6:30pm.